Our sandwich shop uses home cooked meats & fillings, with either bread baked on site or from the popular bakers Barnards in Henfield. The bulk of sandwiches are made while you wait, regulars can pre-order or order via the phone. Our pastry counter has a daily selection of authentic Cornish Pasties, baked on site, small home made pies, quiches & tortilla, plus many other savoury items (think Greggs & you will have an idea). All available to have inside or outside if the weather is nice, or to takeaway. 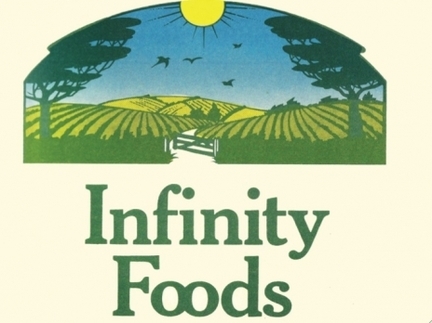 We stock a range of products sourced from Infinity foods, based in Shoreham, including their own brand products, Ecover, Marriages & Biona. Anything we dont stock we can obtain for you - on the basis you purchase the whole 'case' of that product, for which we offer a 10% reduction. With Infinity's own range we may be able to get a half case for you, with a 5% reduction. For many of our customers this means they can avoid driving into Brighton to collect some pretty heavy items.